New business wins, seasonal fluctuations or unexpected downtime can quickly change a company’s commercial vehicle requirements. Our expert rental team can help you adapt to any change, quickly and easily. We offer a modern and meticulously maintained fleet of LCVs, trucks and trailers – available on short and long-term rental from our nationwide branch network. If your commercial vehicle needs are more predictable, but you still prefer to avoid longer-term commitments, then you might like to take advantage of our flexible long-term rental for periods of 12 months or more. Fraikin Xtend offers discounted rental rates from day one whilst retaining the flexibility of short-term rental. If your business needs do change and you decide to end the rental part way through, then your only commitment is to give us one month’s notice and we’ll simply revert the rate back to a pre-agreed short-term hire charge. Our wide range of rental vehicles, from 3.5 tonne panel vans to 44-tonne tractor units, means that you can always find the vehicle you need to meet the changing demands of your business, no matter how unexpected. Plus, we can source specific cars, minibuses, plant and machinery thanks to our strategic alliances. 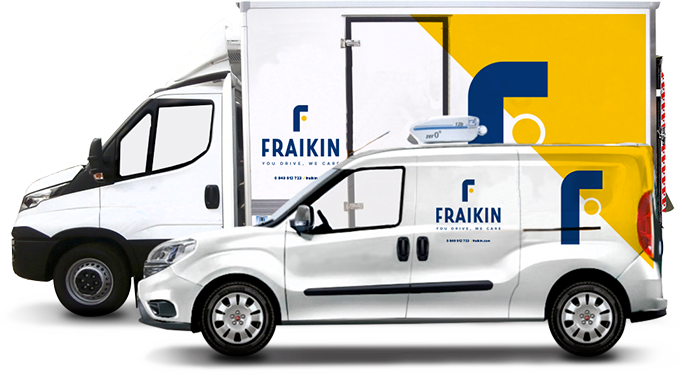 With 9 rental branches nationwide and an optional collection and delivery service, renting from Fraikin is quick and easy. All our vehicles are serviced regularly by our team of engineers and all have 24/7 emergency roadside assistance and replacement vehicle cover as standard. So you know that your rental vehicle won’t let you down.